Netspend® prepaid debit card offers a faster, hassle-free way to manage your money. It works just like a bank card, but unlike most other banks, there is no required minimum balance. Plus, if you decide to become a Netspend customer, you will get a $20 welcome bonus using our Netspend promo code. 2. When prompted, enter Netspend referral code '6307438852'. Activate your Netspend® Visa® Card once you receive it in the mail. 3. Deposit $40 or more in to your Netspend® Visa® Debit Card account. You can do a direct deposit, a transfer from an existing bank account, or a cash deposit at any of 130,000 locations. Once these three steps are completed, you will receive your Netspend Bonus of $20 for free. It's that simple! You will receive your card through mail within 7-10 business days. Want to know more about Netspend? Then continue reading our Netspend Review for the benefits and features offered by Netspend. What are the benefits and features of Netspend Prepaid Debit Card? Netspend® is a powerful prepaid card with the convenience, freedom, and control you need. It gives you choices when it comes to managing your finances by giving you prepaid products that let you handle your money, your way. Here are just some of the features we reviewed when using our Netspend prepaid debit card over past few months. 1) Earn cash back with Payback Rewards. Netspend Payback Rewards lets you earn cash back on your shopping or daily purchases. 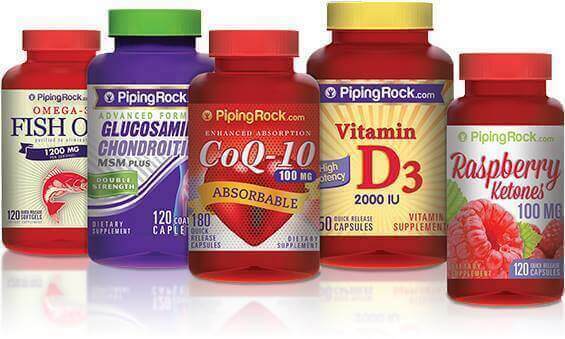 Plus as a premier customer you will receive offers personalized just for you. The more you shop using Netspend, more Payback Rewards you will receive, plus offers that are even more personalized for your shopping or spending needs. Be sure to check the offers regularly, since Netspend keep expanding their list of Stores and offers regularly. You can view all the available offers by logging into your Online Account Center and review the rewards balance accrued till date. For the redeemed offers, you will receive a credit into your account at the end of the month. Once you activate an offer for a specific retailer, make sure to use your Netspend card at those retailer stores to redeem your offer. You can visit your Account Center and view the program FAQs and T&Cs to find out more about the program, and how and when you get rewarded. The Netspend® Online account center is a great way to manage your Netspend account online. It provides convenience and control to view recent transactions, make transfers, activate Netspend Payback Rewards or set up Direct Deposit. It also provides you budgeting tools to control your spending through spending limits, and set up Anytime Alerts to receive important notifications. You can also access your netspend online account center through the Netspend mobile app. Using the Online account center, you can send or receive money with other Netspend account holders using their FlashPay ID. Similarly, you can receive money from your friends and family. All they need is just your name and FlashPay ID. You can also transfer money from your other bank or financial institution. You only have to link your other bank account through online account center and once setup is completed you can transfer funds between Netspend Account and the external bank accounts. You can link your Netspend account with your Paypal account as well. Netspend Online Banking uses high security HTTPS SSL technology to securely encrypt your personal information when accessed over the internet giving you a sense of confidence and security. 3) Get alerted the moment your money arrives with Anytime Alerts. You can manage your preferences to receive the important alerts with the desired frequency such as daily, weekly, or after each individual transaction. Such transactions include - direct deposits, cash transfers, withdrawals, Budget notifications or declined transactions. Netspend supports most of the wireless service carriers such as Verizon, AT&T, T-Mobile, Sprint, etc. You can unsubscribe from these alerts anytime. You can load checks into to your card quickly and conveniently using by using the Netspend® Mobile App by simply taking pictures of check using your phone. This gives you a flexibility to load the money into your account from anywhere without waiting in line. In most cases, the money will be available into account in just minutes. This Mobile App is available on both Android and iOS app stores. The app will provide you the instructions about how to take pictures of your check and proceed to load the check. Direct Deposit is a great way to deposit money conveniently to your Netspend Prepaid Card Account. Setup Direct Deposit to load Your salary or paycheck into your Netspend Account and you can get paid up to 2 days faster. The Direct Deposits can include: Work paychecks, Pensions, Tax refunds, Supplemental Security Income, Veterans’ benefits, Defense Finance and Accounting Service Payments (DFAS), Social Security benefits, State unemployment benefits (varies by state), Railroad Retirement Benefits (RRB), Government Disability Benefits-SSDI or Workers Compensation (varies by state). Plus, if you have $500 or more direct deposits into your Netspend Account per month, you may be eligible to upgrade to Netspend Premier account. With Netspend Premier, you get the most of features offered by Netspend including 50% reduction in monthly fees. If you’re ordering from an unfamiliar online shop and are worried about sharing your Debit card number, then you can generate a temporary Virtual Account number through Netspend Online Account Center and use that Virtual number for the purchase. You can cancel the virtual account number anytime after you complete your purchase. With your Netspend account, you can generate up to six temporary Virtual Account numbers for your purchases. You can also limit your risk on most of the trial subscriptions that you are not sure you will continue. You can generate a Virtual number to sign up such subscription and then cancel it before the service issues a recurring charge. This way you don't have to worry about any unanticipated charge made by the service provider. money into your prepaid debit card account. This makes it easier to exchange money with your friends and family, or transfer money between your accounts. Basically, it lets you move your money anywhere, whenever you need in just few clicks. To set up your Netspend account with Flashpay or accept money that’s sent with FlashPay, just login to Online Account Center and follow few simple steps. With Netspend, you can reload your prepaid debit card with cash at more than 130,000 locations. This includes large number of retail, grocery and check-cashing stores. There may be a very small fee assessed at the location. The amount of fee may vary from location to location. When you sign up for a new Netspend account or any other bank account, USA PATRIOT Act requires Netspend to verify and record your information related to your identification, such as your name, address, birth date, and your driver’s license or other government ID number. This is a necessary step before you can use your Netspend card account. If you unable to identify your account, then the use of the Netspend card will be restricted, but still allowing you to make in-store purchases. Without proper verification of your card account, you will not be able to do certain activities such as international transactions, ATM cash withdrawals, inter-account transfers and load funds. Unfortunately the Vermont Residents are not eligible to open a Netspend Card Account at this time. It primarily due to the legislation 8 V.S.A. Chapters I and 79 passed by Vermont lawmakers back in 2010. Vermont became the first state to pass legislation for restricting the Money Transmission Licenses and limiting the swipe fee on debit card transactions. 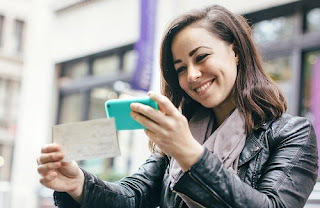 The swipe fee is basically the fee charged by credit card processors to merchants whenever a customer makes a debit card or credit card purchase. This legislation caused Netspend and many other card issuers, and payment networks to restrict their service offerings in the Vermont state. NetSpend has currently applied for a Vermont money transmitter license. Until this license is issued, NetSpend has taken necessary steps to prevent their Prepaid Cards from being sold in Vermont without the license. Sign up for a new Netspend card today and enter the Netspend referral code "6307438852" to get Netspend $20 Bonus. Already a Netspend Customer? Read below to keep your account safe and secured. Add Virtual Account numbers to give you a peace of mind to your purchases. Virtual account number allow you make a purchases or pay bills using your Netspend account without sharing your Prepaid Debit Card number. With your Netspend Account, you can create up to six Virtual Account numbers for your online transactions and limit the risk of any exposure. Per Federal Trade Commission (FTC), Identity theft is growing exponentially in the United States and there have been millions of victims affected financially due to this crime. For the most part, it could get extremely cumbersome to resolve the issue and recover your money. Many times the fraudsters don’t even have to hack in order to get information. All they have to do is just to ask you through phone, email, or text message pretending to be a legitimate bank, financial organization or business. Many had fell victims by providing such criminals with their online bank login and password, debit or credit card number or their SSNs. Do not give your personal or financial information to anyone unknown or suspicious, who reaches out to you through email, phone or text. Always use the official contact number (from the back of your debit/credit card) or official website address such as www.netspend.com to contact your financial organization. Setup a complex password with a combination of words, numbers and special characters (not your as your phone number or birthdate) to make it difficult for criminals to figure out. Set your bank account login passwords different than your online shopping site accounts. Make sure to report suspicious activity by calling your financial organization support number given at the back of your debit or credit card. If you suspect you are a victim of identity theft or someone suspicious has used your personal information to make purchases or open new accounts, file a complaint with FTC and visit IdentityTheft.gov, the federal government’s website to report identity theft and help you recover from it. FTC & IRS have teamed up to make it easier for victims to report a fraud or file complaint. With upcoming holiday season with online shopping peaking up, follow few simple tips get yourself ready to for safe online shopping experience. Try sticking to brands and online shopping websites that you know well and are reputed or trusted. The major retailers secure their websites with greater secured solutions to protect their own and their customer data. Make sure access only secure shopping sites with HTTPS or SSL secured certificates. Avoid using public Wi-Fi to login to your bank accounts or shopping websites. Such Wi-Fis can be easily interpreted by the hackers. Keep your Windows or MacOS operating system updated with the latest security patches. Keep your Antivirus software or browser, updated with the latest version or patch set to avoid downloading any infected attachment or malware. Keep track of your online activity. Keep track of your bank account, financial transactions or activities and statements for any unauthorized purchases. Follow item#2 mentioned above to report any suspicious activity or identity theft right away. If retailers have their dedicated mobile app for shopping, then use that instead. Such apps are less prone for hacking than using mobile browser for shopping. If you are not a Netspend customer yet, then sign up for Netspend debit card today and enter the Netspend promo code "6307438852" to get free $20 bonus on your Netspend card. I started my Affiliate marketing career over 10 years ago with sites like Inboxdollars and Treasuretrooper. Inboxdollars scammed me and Treasuretrooper paid me my first $20 check I every earned online. I watched a lot of money making websites come and go but sites like Treasuretrooper are still here and paying, that's rare. I've tried and reviewed many different money making methods over the years. I've tried RevShares, Clickbank, RapBank, Amazon, MCA, Shopstyle, Market Health, Clixsense, JVZoo, CPA Grip, Survey Sites, Paid Apps and many more. I made a little money with all these methods, except RevShare, I lost money with that. The point is, it's hard work trying to make money online so be sure to use only the very best programs available. These days I only have a few income source, one bring Netspend. Plus... When you refer friends, family members, *anyone*, you receive a $20 Referral Bonus and they receive their $20 Welcome Bonus once they load at least $40 on their card. The bonus is automatically added to your Mastercard account. No Limit On Referrals or Earnings! It takes less than 60 seconds. Your personalized card will arrive by 1st Class mail in 7-10 days. Step 1) To get your $20 bonus, you need to order a card. Step 2) Activate the card you ordered once you receive it in the mail. It will arrive within 7 to 10 days. Instructions for activating it are on the card. Step 3) Add at least $40.00 to your new NetSpend Prepaid MasterCard account. You can add money by Direct Deposit, transfer it from an existing bank account. Once you've completed these steps, you and the person who referred you each get a bonus of $20 directly into your NetSpend account. Get $20 referral bonus FREE then get $20 over and over again. Yes, it's true, check out my current proof of payment. 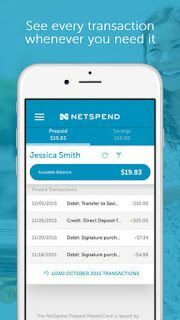 Get $20.00 Free from Netspend! Get $20 free when you start then start earning $20 over and over again with there referral program. You won't need a website or need anything technical skills, very user friendly. Netspends $20 referral program has been a real financial blessing for me and my family. Just sign up for a Netspend Prepaid Card account, activate and add $40 to your prepaid debit card. You’ll receive your $20 bonus once you complete these steps. Plus, you’ll get to personalize your card! Netspend offers 100% approval with no credit check required. Use this link to get $20 bouns.